The American sport hunter by the late 19th century honored the code of fair chase, killing animals only under conditions in which they had a chance to flee, a sensibility that helped transform hunting’s spokesmen into leaders of the early conservation movement. Human attitudes toward animals are being transformed today by what scholar Kimberly Smith has termed a “the process of ethical extension.” From family to tribe, from neighborhood to nation, man grows in his discernment of his impact on, and his connectedness to, the greater world. In theory at least, the lives of all human beings have become inviolable. But can such moral perception and grace be extended to non-human creatures as well? This recognition would supersede the humanitarian approach to modern animal welfare pioneered by Henry Bergh and his fellow 19th-century reformers, and surpass the more modern well-meant demand that animals raised and kept for slaughter be allowed a “cage-free” or even “free-range” life. It is, rather, a leap of ethical consciousness to the understanding that man no longer be considered the center of the biological universe, and that far greater humility need characterize his dealings with nonhuman beings. Of course, while human consideration of animals’ role in the world has become more enlightened, no one believes we’ll arrive anytime soon at an enchanted age for animals. What can be said is that increasingly the distinct otherness of the “brute creation” seems more intriguing, more pleasantly enigmatic. We treasure animals’ steadiness as well as their eccentricities, and are enriched by them—the companions we consider family, the “liminal wildlife,” such as squirrels, birds, and chipmunks, that we encounter daily in city parks and backyards, or the wild animals that live deep in the woods or in the sea, which we seek out at times but that, for the most part, please us simply by the fact of their being: it’s enough to know they are there. Then there are the billions we think of not so much at all, the doomed, muffled phalanx, the living assembly line of animal protein with hooves or wings (appendages they hardly need). Our knowledge and tolerance of this world of unimaginable suffering weigh upon us and are sources of profound anxiety. It is one thing to recognize that animals deserve our respect and protection and have a right to the life they were intended by nature to live, and to vow that we, with growing sensitivity, are groping toward ways to end the abuse they suffer. But how do we square such noble aspirations with the reality of the country’s meat industrial complex, a system supported by the 96 percent of Americans who eat meat at least once a week, and which some critics have described as nothing less than the largest infliction of pain and suffering on living beings ever carried out in human history? That’s a claim that deserves serious reckoning. Ironically, in terms of their proliferation, industrial animals must be considered the most “successful” on earth; while it is estimated that the world contains about 40,000 lions, 500,000 elephants, 50 million penguins, and 200 million dogs, a census of factory farms would find 1 billion domesticated pigs, 1.5 billion domesticated cows, and 20 billion chickens. What this means is that all the world’s animals that live in the wild, or in zoos, as house pets or beasts of burden, taken together, would still constitute a minority compared to those “meals-in-waiting,” the living agricultural products whose entire (and very brief) life takes place entirely along the industrial farming production line. Were we even “meant” to eat our fellow creatures? Biographer and essayist Plutarch reminded his fellow Greeks 2,000 years ago that humans have “no curved beak, no sharp talons and claws, no pointed teeth,” and he dared them to try and “kill yourself what you wish to eat—but do it yourself with your own natural weapons, without the use of butcher’s knife, or axe, or club.” Many biologists since Plutarch’s time have echoed his complaint: while animal carnivores have a set lower jaw for stability and sharp incisors for tearing meat, human teeth appear designed for munching fruits and grinding vegetables, our hands designed to pluck fruit from trees. Yet paleoanthropologists concede that proto-humans at some point recognized that plant nutrients were stored in the bodies of herbivores, creatures that could with crude, sharp weapons be stalked and slain, the takeaway being more efficient, high-caloric, high-protein meals. There’s evidence that the iron and vitamin B-12 found in meat products are essential to human health. We are “behavioral omnivores—that is we eat meat,” writes wellness activist Kathy Freeston, “but our evolution and physiology are herbivorous, and ample science proves that when we choose to eat meat that causes problems, from decreased energy and a need for more sleep to increased risk for obesity, diabetes, heart disease, and cancer.” But absolute agreement on this subject, in lieu of greater scientific certainty, remains elusive. 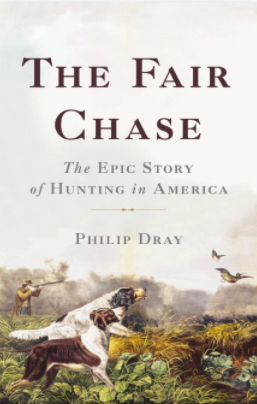 Excerpted from The Fair Chase: The Epic Story of Hunting in America by Philip Dray. Copyright © 2018 by Philip Dray. 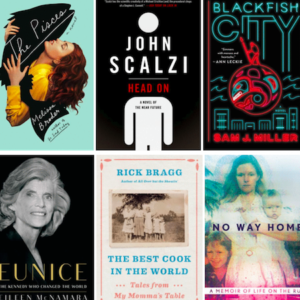 Available from Basic Books, an imprint of Perseus Books, a division of PBG Publishing, LLC, a subsidiary of Hachette Book Group, Inc.